It’s no secret that green is in. Energy efficient and environmentally friendly upgrades and add-ons can boost a home’s selling price and attract good renters. But paying for those green updates and getting a return on the investment can be tricky – especially when solar energy is involved. Tax credits, government energy subsidies and even green mortgages can help. Upgrades to make a property more energy efficient or environmentally sensitive, such as installing new, double paned windows, replacing insulation and ductwork, or converting to solar heating can be deducted from taxes as part of the long list of deductions and credits for repairs, maintenance and renovation available to property owners. Some, for repairs such a replacing a broken window with a more energy efficient version, can be deducted immediately, while others, such as installing a new roof, may be amortized over the life of the investment. But virtually any repair or upgrade can qualify for a deduction under the current, owner friendly tax code. A variety of state and federal energy programs offer help for homeowners who want to tern their properties green. Some involve programs dedicated to a specific type of improvement, such as weatherization or solar energy, while others relate to water and utility usage. Help typically comes in the form of a voucher, a free installation or a credit toward energy bills. Consumer experts warn, though that scams can be rampant, especially involving offers to install free or low cost solar panels. The FHA and local utility companies can provide legitimate information on what kinds of subsidy and credit programs are available. A relatively new offering by some lenders is the “green mortgage,” a secondary loan specifically to help with environmental upgrades that’s piggybacked onto a borrower’s current mortgage. 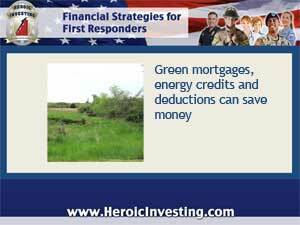 Not a refinancing or second mortgage on the property itself, the green mortgage can be added on to an existing mortgage or put in place with a new one. Borrowers pay just one mortgage payment for both loans and use the money to make energy saving upgrades. Is The Government Getting Out of the Housing Business? 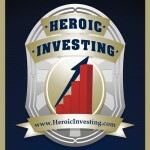 No Closing Cost Mortgages: An Option for Investors?